I am a firm believer that change can be a good thing. In order to get cohesive unity, all factions of that group should be equally represented. Change. For nearly 2 years all we have heard about is Change. Still here? Good. Now I am a firm believer that change can be a good thing and the changes we heard about leave me more optimistic than pessimistic. However, while optimistic, I also recognize that the new ICFA board is made up entirely of manufacturers. There is no representation for those that are on the front line of this marketplace battle. Who is representing the distributors, the contractors or the design community? It is my belief that in order to get cohesive unity, all factions of that group should be equally represented. While my optimism says there is hope, history is working against it. Ok, now that I opened my big mouth, what do I think needs to be done? Well, in talking to numerous people during the conference – From the US, Canada, Mexico and abroad, there were a few items that really stood out regarding the direction of the ICF industry. I will try to briefly cover each topic. This was the single most discussed topic. The industry has put a substantial amount of effort into educating contractors and to a degree, design professionals. We now need to expand this effort. We need to educate building inspectors and reviewers. We also need to focus attention on product manufacturers that enhance the building envelope – windows, insulation, HVAC etc. We also need to educate our “competition” – like framing contractors and masons. You ask “why this group?” We need to get them on board to show that we are not taking their jobs and we can all work together. Plus once they see the benefits, it may just strengthen our labor pool. Probably the most important area of education is to the general public. 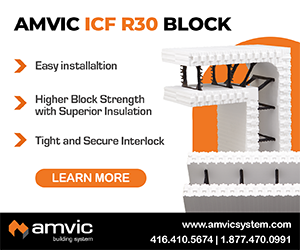 We need to establish a media push to show the benefits of ICFs. While HGTV, Extreme Home Makeover and Greensburg are a good start, we must capitalize on this. We need primetime advertising. My personal experience shows that any time that ICFs are mentioned on TV, people immediately request it in their designs. But when it goes months between mentions, they forget and fall back into the status quo. Other industries are doing it (look at solar); we need to do the same. Once the general public is pushing the ICF concept, the market will follow. Many production builders are on the fence right now; we just need to give them that little push. This is pretty elementary but it gets forgotten too often. There needs to be a concerted effort of support down the production line from manufactures to distributors to installers. Manufacturers often are too concerned with quantity over quality. The easier the manufacturers make it for the people working with the end user, the more likely their block will be specified or installed. I have had several instances where the ICF systems my clients were interested in incorporating were very similar. The choice came down to who had the best customer service. The support was even more important to them than the cost. This is construction, it’s not if there is a problem, it’s when. This is an area where the ICF industry is being left behind. The International Building Codes (IBC) reference an ANSI code that was prepared in the early ‘90s. All of us can agree that the industry and technology has substantially changed since then. The code heavily references waffle grid systems with minimal information for flat wall and little or nothing referencing panelized systems or something as simple as webs. The building codes need to match construction techniques and technologies. The only way this is going to change is if we change it. Another area of code changes are the fire sprinkler requirements in the 2009 and 2112 IBC. The new code mandates that all new structures be installed with fire sprinklers. This equates to an upcharge of several thousand dollars (a recent 3,500 s.f. home was $17,000 for a new sprinkler system). 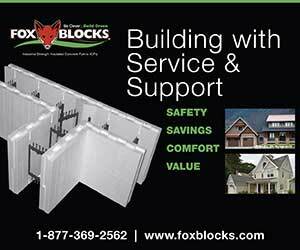 One of ICFs’ main obstacles is the up front cost to builders. The industry needs a cohesive test for the performance of the walls – one that everyone—even other wall systems—can use. Many people that work closely with the ICF industry (myself included) are faced with incurred liability when it comes to this. 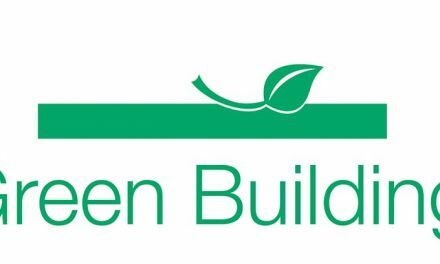 Green building lawsuits are one of the fastest growing areas of litigation in the US. If we have third party (non-biased) testing that we can all refer to, regardless of the system, the liability shifts back to the testing agency. Furthermore, this is an increased area of negative marketing – one company referring to another as a “liar” or “bought their testing” and many other negative remarks you have no doubt heard (or even said). We need to work together as an industry as a sign of solidarity. Let’s not give our detractors more ammunition against us. 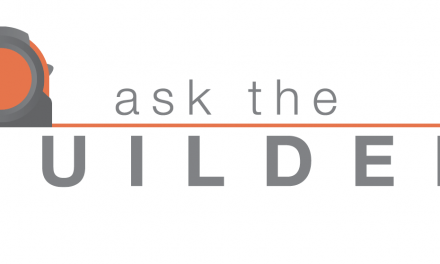 “Why use or trust ICFs, they can’t even make up their mind of what their R-Value really is?” This is an actual quote I heard about a year ago from a SIP manufacturer to a builder. Membership in the ICFA needs to expand. 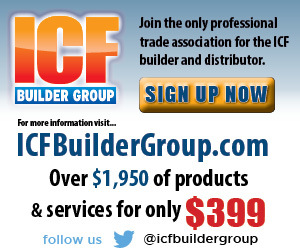 I know this is obvious, but instead of just focusing on groups directly associated with ICFs, why not recruit concrete companies, ready mix companies, windows, doors, insulation, HVAC, masonry, SIPs and even energy raters? These companies would benefit because done right, ICFs are a “whole package system;” they make us better and we make them better. This could provide additional marketing funding and there is always strength in numbers. Ok, I keep mentioning masonry and SIPs – and by now you might think I am a little off kilter. As an industry and in an effort to become more mainstream, sometimes we must “sleep with the enemy”. However, I don’t see these industries as being the enemy. SIPs are one of the best insulating systems available and they provide an affordable and outstanding roofing system above ICF walls. Furthermore, masonry has many similarities to ICFs for installers and we can work together for other uses and designs. Many masonry associations are very powerful and have strong political connections. They have also partnered with other concrete based associations (PCA, ACI, ASCC and many others). This partnership could tear down the barriers that exist today, build additional resources and establish a strong, united front that affect many of us. This larger coalition is what we need to change and update the codes into a more “concrete friendly” environment. Truth be told, for those of us that are on the front lines of this industry, it would be easier to specify, design, build and integrate some of the more status quo systems like frame or CMU. These systems have been tested, their performance is cohesive and there is little infighting between manufacturers. Plus the codes and inspections have been in place for years, so issues in the field are few and far between. But, probably like you, I “drank the Kool Aid” and believe that ICF systems are the best building product in the market today. The ICF industry is at a major cross-road. As we emerge from this current economic crisis, the general public will demand more energy efficient, longer lasting and lower maintenance building systems. There is no better system to capitalize on this motivation. We just need to understand that if we work together, we will succeed together. In conclusion, we all need to look at our individual business model and evaluate our goals. As an industry, do we want to continue to just do the jobs here and there or do we want to become the building material of choice? Nobody is going to give it to us and it will take a substantial amount of equity–both time and money. To the new ICFA board, I hope you are listening to the concerns of the people supporting you. I am committed for the long term and to show my commitment, I remain available to the ICF industry and the ICFA to help in any way I can. But I can’t do it alone. What are you willing to do to take this industry to the next level? 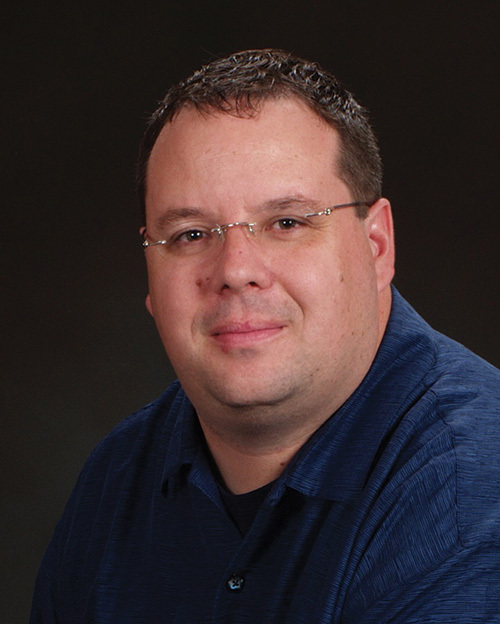 President of Robert Klob Designs, Inc., a full service residential design firm. He can be reached at (480) 968-2474.